Welcome to Big Steve’s Gold & Pawn Emporium! 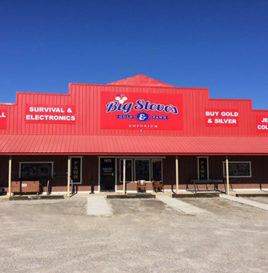 At Big Steve’s Gold and Pawn Emporium, we are a full-service pawn shop carrying everything from guns and ammo, coins, gold and silver, jewelry, comics, collectibles and so much more! We can also handle all your NFA needs. Our mission is to become a leader in the market for small collateralized loans, collectibles, and retail shopping. We aim to offer a large variety of products and services with great customer service at a competitive price. Shop around our site, drop us a line, or waste some time playing in the Arcade! If you are in the Mountain Home, Arkansas area, stop by and let us know you found us online! 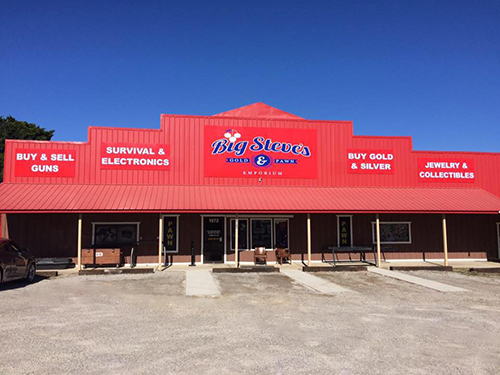 Big Steve’s Gold and Pawn Emporium located at 1972 Highway 62 East, Mountain Home, Arkansas 72653.